Facebook has unleashed a plethora of new features this past month including “topics to watch” and best of all- live video! It’s part of an aggressive attempt to get users watching and creating live video content on the social network to compete with Snapchat and Periscope. Online live streams have been around for more than a decade, they’ve never been as easy to shoot or view on a platform as massive until now. How will this change life as we know it for digital marketers? The company is building a video portal that will soon collect live content from friends and personalized topics of interest on a single page in its mobile app. Live videos will also be attached to some trending topics soon. Marketers will be able to pull and analyze stats about how many people watched it live, as well as mine other engagement metrics. 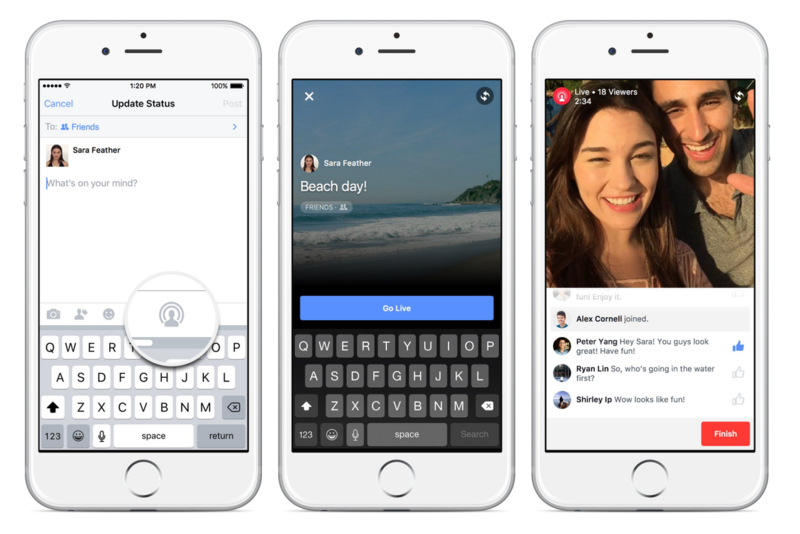 Facebook also started to roll out a major update to Live, adding a dedicated Video tab to its mobile apps, integrating live videos into groups and events and more. This will make a huge impact for brands that are driven by social events like Redbull, GoPro, Adidas, and Budweiser. This has already changed the game this past week with events like Coachella. The Live API will soon be available for developers and brands to integrate live streaming into other third-party apps and devices competing with YouTube’s relationship with GoPro amongst others. Facebook Live is partnering with Mevo, a live streaming camera built by Livestream. Drone maker DJI will bring Live support to its Phantom drones with a software update in the coming weeks. With recent years of social content being primped and filtered (and at times nearly unrecognizable) by users on Snapchat and Instagram, this live video and content will now give users and brands both a chance to be raw, personal and unfiltered again, with the hopes being that brands can show their true selves and become more human to their consumers.